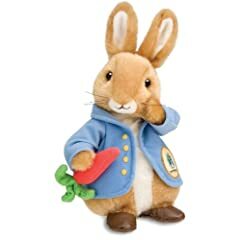 Stuffed animals of Peter Rabbit, based on the classic tale from Beatrix Potter are a favorite at Easter. 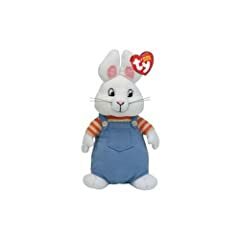 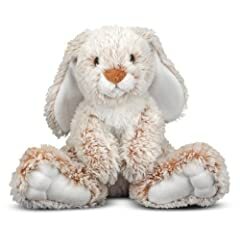 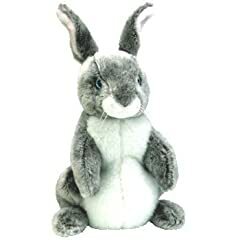 Also especially popular around Easter by fans of Max and Ruby who love the books and TV show are these Beanie Baby Rabbits which are cute, durable and they come a bit weighted down so that stand on their own. 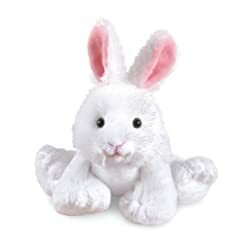 Your kids and collectors of stuffed animals are just going to love these toys.